I forgot my password - how can I login? 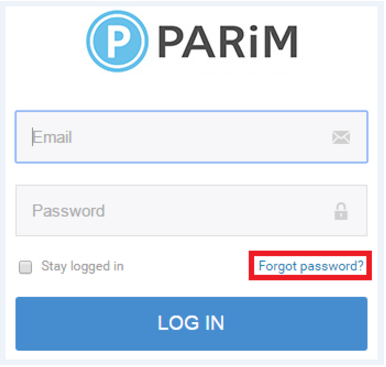 If you've forgotten and lost your password, just go to the login page and click on 'Forgot password?'. This will take you to a page where you can retrieve your password. Just type in your email address, click 'Send my reset link' and the password reset information will be sent to your email. 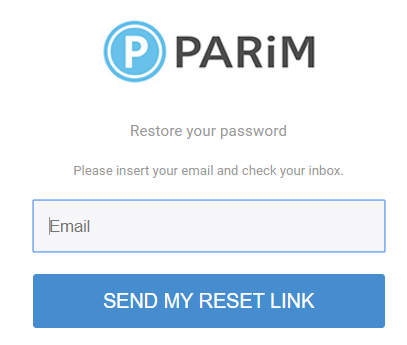 If something goes wrong or doesn't work, please email us at support@parim.co.uk and we'll be happy to help you out.